There are 446 bridges in Pittsburgh. This is the South Tenth Street Bridge. 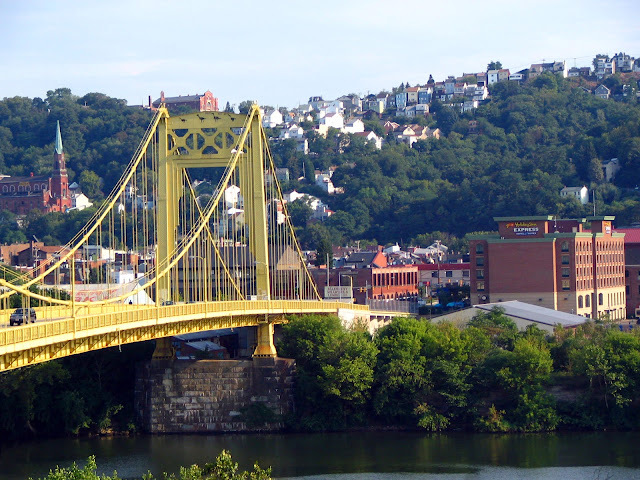 It spans the Monongahela River and connects South Tenth Street on the South Side to Second Avenue and the Armstrong Tunnel under The Bluff.